HeyPlantMan! 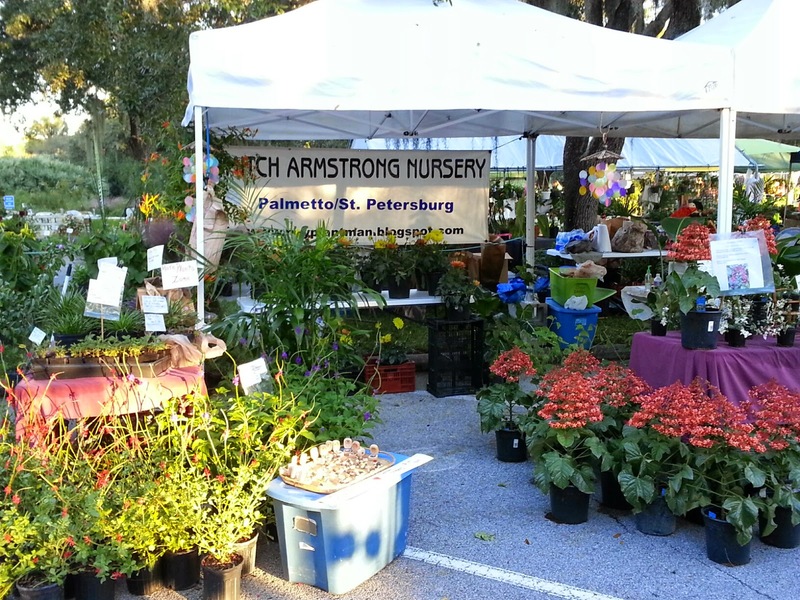 Exotic Tropical Plants from St. Pete FL: Market and Circus McGurkis coming up ! Market and Circus McGurkis coming up ! We are back from a great show at Bok Tower this past weekend and ready to rock and roll and be back at Saturday Morning Market and, we have another great thing happening this weekend, down at the annual Fall Circus McGurkis festival on the southside of St. Pete at Lake Vista. Circus McGurkis was founded many years ago as a festival to embrace community on a grass roots level and supported artisans, healthy foods, fundraising, a place for anyone to sell what they loved and just plain fun, but all in a peaceful, embracing atmosphere. Did you know that Saturday Morning Market was started with vendors from the Circus McGurkis? It is a festival that is dear to all of our hearts, and this coming Saturday, we will have a presence at Circus, as our Nursery helper, Keisha, will be there along with her two young daughters, to sell plants and arts and crafts and all sales proceeds will be donated to "One Voice" Foundation, a pediatric cancer family support organization. If you have visited our blog before, you may now of Keisha, who lost her beloved 3 year old son, Morgan, to a rare pediatric cancer 10 months ago. Keisha and her girls have been through a lot and we continue to support their efforts to fund pediatric cancer research and help to those families in our community. Circus Mc Gurkis takes place at Lake Vista community Center at 62nd avenue south and 16th street. Its totally free to come visit and we guarantee you will have a great time. So, we are back at Market this week and have some great stuff for the Fall season, perennials, herbs, hanging baskets and much more. The weather is going to be great, we are happy to be back with our Market family and hope to see you there !